A group of BMW owners in South Korea filed a criminal complaint against the German automaker Thursday over alleged delays in recalling more than 100,000 cars after a spate of engine fires, their lawyer said. The timing of the recall, which was issued last month, is already the subject of a government probe, after more than 30 BMW cars — mostly the 520d sedan model — caught fire this year in South Korea. BMW apologised Monday for the fires, blaming a faulty component that was aimed at reducing emissions from diesel engines, but that has done little to allay the concerns of angry consumers, who say the firm should have issued the recall sooner. Johann Ebenbichler, vice head of BMW in charge of quality, told reporters the carmaker became aware of a problem with the component in 2016 but managed to identify the root cause of the fires only in June this year. He did not provide further details. Lawyer Ha Jong-sun said he had filed a criminal complaint against six people including Ebenbichler on behalf of 20 BMW owners and one victim of a BMW vehicle-related fire. “It is hard to believe that BMW took two years to determine the cause of the car fires… A criminal investigation is necessary to secure evidence of a cover-up,” Ha told AFP. The offence carries a prison term of up to 10 years or a fine of up to 100 million won ($89,400) under South Korean law. Images of BMW vehicles bursting into flames have made headlines in the South recently, with some parking lots refusing to accept the cars because of fears they could catch fire. 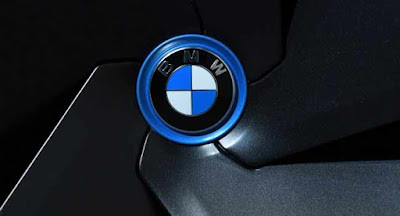 BMW has blamed a faulty component called the exhaust gas recirculation (EGR) cooler that generated excessive sediment and caused engines to catch fire, and said the problem was “not Korea specific”. The company also issued a recall for 323,700 cars across Europe this week due to the same problem. Apart from the criminal complaint, the beleaguered automaker is also facing a class action lawsuit in the South, filed by 17 owners who are demanding compensation from the company, Ha said. BMW sold nearly 39,000 cars in the first six months of this year, according to the Korea Automobile Importers and Distributors Association.